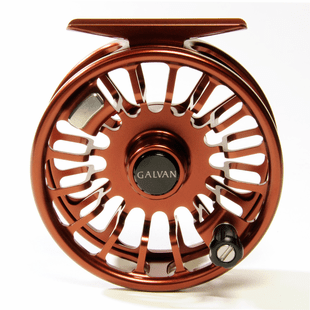 When you couple an undying passion for the sport of fly-fishing with 20 years of sensational design and innovation, you get Galvan Fly Reels. 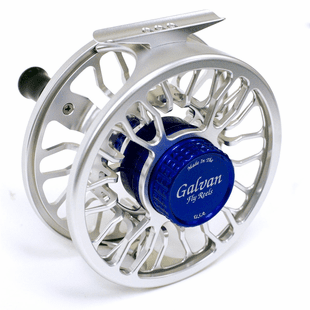 When you purchase a Galvan Fly Reel, you are continuing the tradition of a family-run business, which has built its reputation on superior quality and uncompromising craftsmanship. 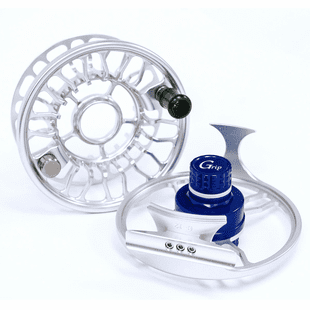 Galvan Fly Reels is based out of Sonora, California. The entire process, from genesis to construction, is in-house and always has been. 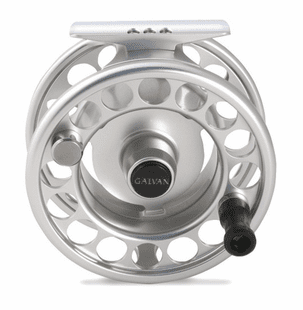 6061 Aircraft Grade Aluminum is what every Galvan reel is constructed with. Each reel is impeccably machined. T6 solid bar aircraft grade aluminum is tempered to significantly increase its strength. T2 Corrosion and saltwater reistant. 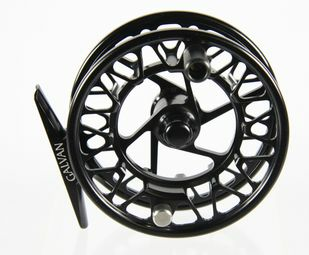 Every Galvan Reel is Type 2 Anodized and has very few points of material contact to reduce both corrosion and wearing. Drag System: Fully sealed. This drag has been at the top of the reel market for quite some time now. The Torque Drag System is historically a compression disc system, but it has been improved to now feature state-of-the-art thermoplastic and carbon fiber discs, which require minimal lubrication and no maintenance at all. MicroTune Drag Adjustment. This makes altering your drag quickly and precisely very easy, especially when a large fish is hooked and constant small adjustments are necessary. 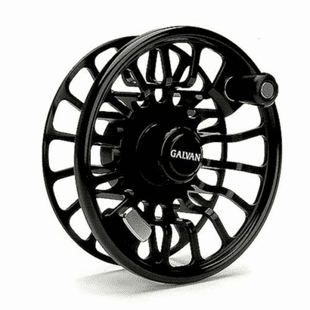 Maximum Porting: Galvan ports all of their reels to the maximum strength-to-weight ratio. Galvan Fly Reels come with a lifetime warranty covering all parts and workmanship under normal use and conditions. Galvan Grip: New for 2016! The Galvan Grip is a fantastic saltwater reel for 8, 10, & 12 weight rods. It is incredibly user-friendly and constructed with the finest materials on the market. It also strikes the perfect weight-to-strength ratio balance. Available in a fresh looking Silver & Blue. 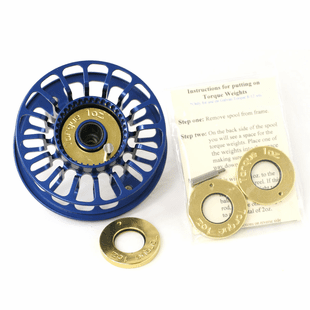 Galvan Torque: Representing the best of modern fly reel architecture and an incredibly powerful drag system, the Torque is a beautiful and functional piece of fly fishing equipment that we have loved at the Caddis Fly Shop for over a decade. Great for use in both fresh and saltwater settings, this T6 6061 Aircraft Aluminum fly reel has the reliable Torque disc drag system. 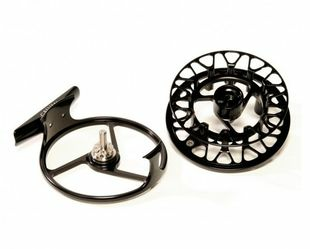 Galvan Rush Light: The Rush Light Fly Reel strikes the perfect balance between quality and value, making it one of the best selling reels on the market today. The Rush Light is basically a less-machined out Galvan Torque. It is a dependable, durable reel that will provide you with years of fish stories. Galvan Brookie: "Modern Classic"-thats what the Brookie is all about. Galvan's spin on the click and pawl system is the Click-Ball tension system, which is basically a click and pawl drag with the ability to tighten or loosen the resistance with a few turns of an alan wrench. 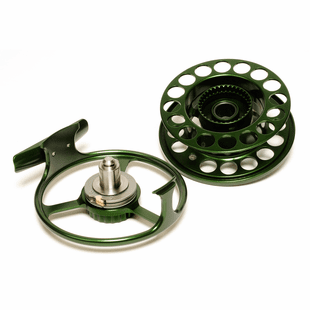 For the trout enthusiast, you wont find a better reel to fish with. This "old school drag style" is built around a 6061 bar stock aluminum frame, so it is actually quite far from old school! We also carry spools for all of of Galvan's Reels, which you will find below!